So this didn’t exactly work out too well last year, as my totals were much different than others, but I’m going to try this again in 2015 and hope I get a better result. I will be trying a new system. Non-official appearances, shopping trips, and vacations and whatnot, will get their own list. Quarterly reviews: 1st quarter; 2nd quarter; 3rd quarter. 2) March 26: Kate gave a quote to the Times. 3) May 10: Kate released short letter of support for Children’s Hospice Week. 4) June 6: *Not of Kate, but she took the photos* Kate released photos of George and Charlotte. 5) November 27: Kate released a statement in support of St. Mary’s Hospital The More Smiles Appeal. 6) November 29: *Not of Kate, but she took the photos* Kate released two photos of Princess Charlotte. 7) December 18: Cambridge family photo released. 2) March 26: Kate, joined by William and Harry, attended a memorial for Richard Meade in Bath. 3) April: Kate took George to farm park in Norfolk. 4) April: Kate took George to farm park in Bucklebury. 5) April 28: Kate took George to BP for a swim. 6) May 5: Left KP for Anmer Hall. 7) May 31: Kate took George to Holland Park. 8) Early June: Went to dinner with Prince Philip and others for his birthday. 9) June 14: Kate took George to watch William and Harry play polo. 10) June 26: Kate and William had tea with Angelina Jolie and Brad Pitt. 11) July 8: William and Kate at Wimbledon. 12) September 26: Kate attended the England v Wales rugby match. 13) October 10: Kate attended the Australia v Wales rugby match. 14) October 21: The private press meet-and-greet. 15) October 22: Kate took Prince George to the NHM. 16) December 1: Kate went to dinner with Carole and Pippa. 17) December 16: Kate attended annual BP Christmas Lunch. 18) December 25: Christmas church service. 19) December 27: Sunday church service. 6) April 20: Kate supposedly went shopping at Zara Home in London. 7) May 23: Kate spotted shopping at Spar in Norfolk. 8) Early June: Kate went shopping in Holt. 9) June 28: Kate went shopping in Norfolk. 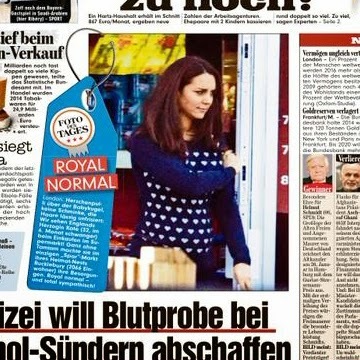 10) Late September: There were Twitter reports of Kate out shopping. 11) December 11: Kate went shopping at Peter Jones. 1) January 22 – February 6: Mustique holiday.